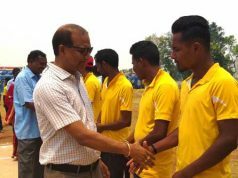 Report by Avilash Panigrhi, Puri: Ahead of the commencement of FIFA World Cup 2018 in Russia, renowned sand artist Sudarsan Pattnaik has created a sand sculpture of a world cup trophy on the mega event at Puri beach of Odisha.. 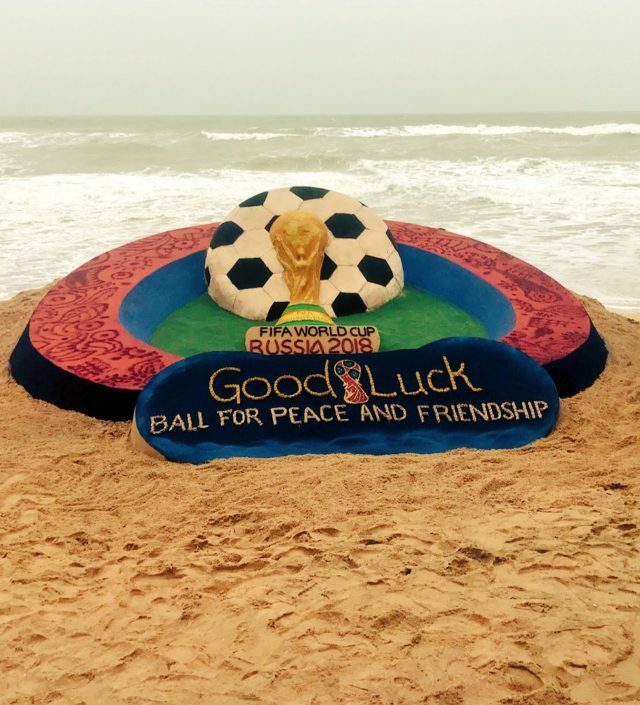 Besides the trophy, Pattnaik created sand sculptures of a mini stadium with a football with a message “Ball for peace and Friendship” to promote on the beach of Puri. 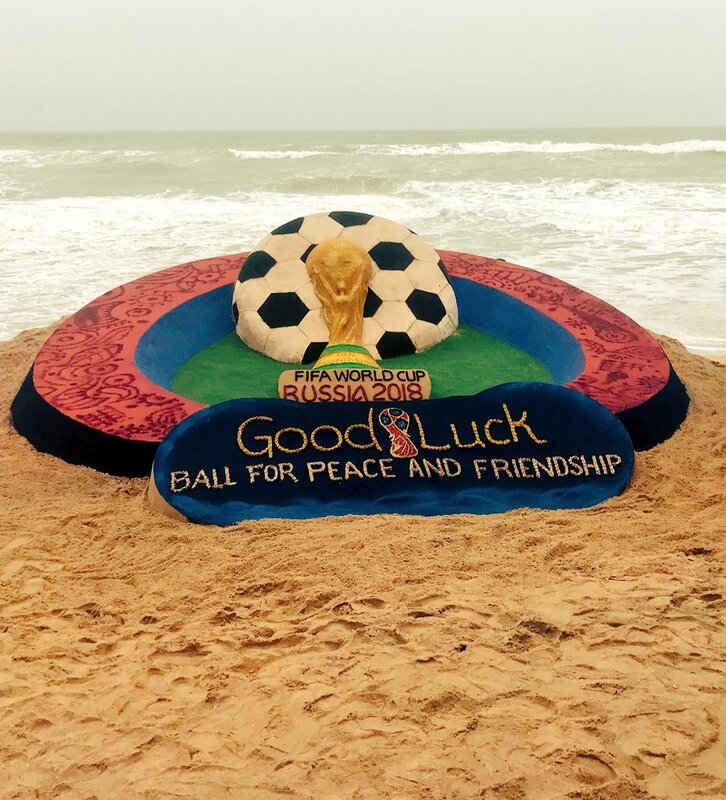 With World Cup fever griping the entire world, the people and tourists at Puri beach are excited to watch the matches. Though India is not playing in this World Cup, still people are anxious to see the matches. Lots of tourist and local people gathered at Puri beach to see Pattnaik’s sculpture. Legendary Footballer and former Indian captain Bhaichung Bhutia praised this sand art. He described it “Amazing Art work”. 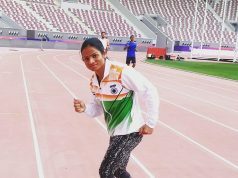 similarly former Hockey Stalwart, Padmashree Dilip Tirkey has also appreciated his beautiful sand art.